Dallas Zoo hatches the only perentie monitor lizards in the AZA | Dallas ZooHoo! What hails from Australia, runs as fast as an Olympic sprinter, and is the fourth largest lizard species in the world? The perentie monitor. And who is the only AZA-accredited zoo in North America to successfully hatch them? We are. Our world-class herpetologists are welcoming three new babies. Weighing about .13 pounds at hatch, these lizards could grow to be 33 pounds and 6.5 feet long. These little ones are our first perentie monitor hatchlings since 2001, when we became the first AZA facility outside of Australia to reproduce them. Housing these lizards can be extremely difficult, and you can’t find many outside of Australia. In fact, only two other North American AZA-accredited zoos care for perentie monitors: Omaha’s Henry Doorly Zoo and the Los Angeles Zoo. While housing accommodations are challenging, it’s even more challenging to breed them in human care. One of our newly hatched perentie monitor lizard babies. 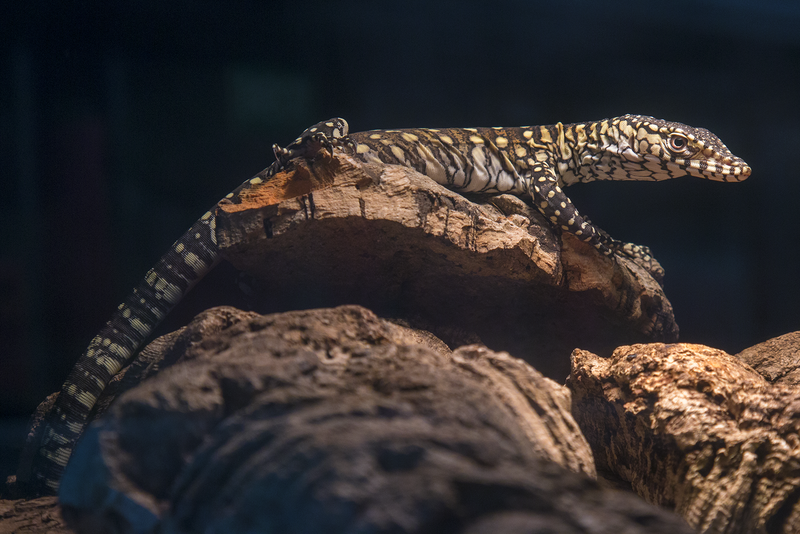 The Dallas Zoo has a lot of experience with monitor lizards, which is one reason we’ve been able to successfully reproduce perenties. Up next: Our herpetologists plan to focus efforts on crocodile monitors, a species that hasn’t been bred in North America in 20 years, mostly because of pairing issues with the animals. Dallas Zoo currently cares for ten crocodile monitors, putting us in a good position for success.